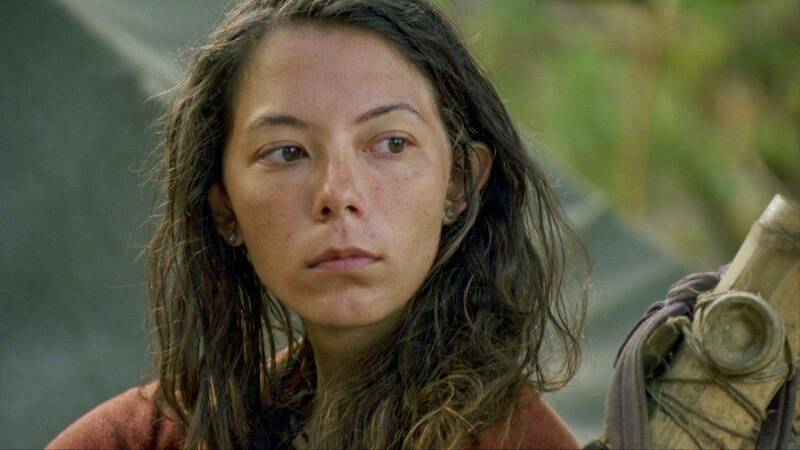 Gabby Pascuzzi made her move on this week's episode of Survivor: David vs. Goliath, but it just didn't work out. Wednesday's episode saw the 25-year-old technical writer decide it was time to turn on her closest ally in the game, Christian. Although she was able to secure the numbers against him, he had an idol, and with the second most-votes, she was sent home. It was a surprisingly unemotional goodbye for Gabby, who had no problem showing her emotions earlier in the game. As she explained to ET on Thursday, putting herself on the line was the whole point. "Even though Christian was my closest ally, I was very aware of the fact that he was a huge threat to win the game, and that if I went to the end with him, I would not win the game, because I would have been his sidekick," she shared. "I knew at some point I would need to cut him loose, but the tricky part was the timing of it all. It may have been too early, because obviously it didn't work, and I got voted out." "I was concerned that if I waited too long that I wouldn't have had the chance, or more people would think that I was just riding his coattails," she added of her motivations to turn on Christian. "I wanted people to see me play the game on my own, so I was not just in his shadow the whole time." Gabby's attempted move came after the castaways were reunited with their loved ones. For Christian, it was his girlfriend, Emily. But to those online who think Gabby's move was motivated by jealousy, she says "your misogyny is showing." "To define my move, which I clearly explained my reasons for in the episode, as being done because of another woman is insulting to me, to Christian and to Emily. I am not a secondary character in someone else's story," she said. "To be frank, it is immature to suggest that I would make a million dollar decision out of jealous motives because of a man, especially since people had been targeting Christian this whole season. I clearly explained my reasons in the episode and if they can't understand that, then it reflects more on them than me." Christian escaped elimination on Wednesday's episode, and while everyone is certainly onto him, Gabby said that she thinks that the robotics scientist has the potential to win Sole Survivor. "I think there is a reason that he has continued to be targeted all season. Everyone realizes he is playing a great social and strategic game. If he keeps playing that game, then he could go all the way -- which therefore confirms my intuition to take him out," she noted. "I think our season has been super competitive and there was really high gameplay from everybody and that high level of gameplay is going to continue," she teased of the season, which has just two episodes left. "Just like the fans, I can't wait to watch."